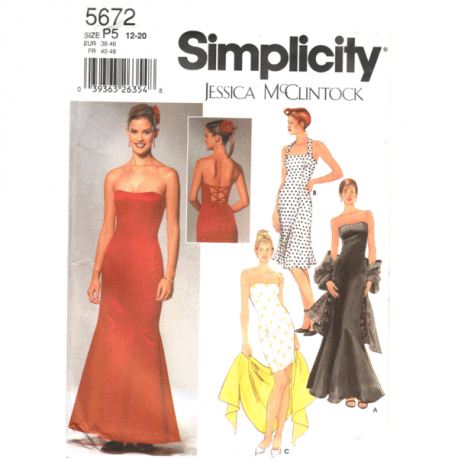 Simplicity 5672 evening dress pattern by Jessica McClintock. 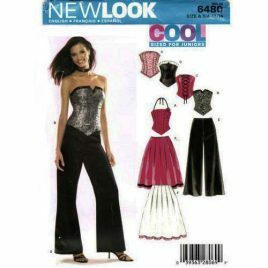 Strapless dress or with halter style straps in three lengths has boning and lace up back. 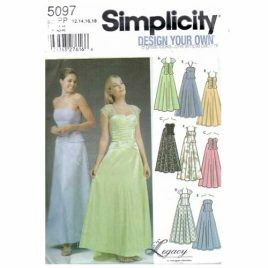 Pattern for shawl is also included. 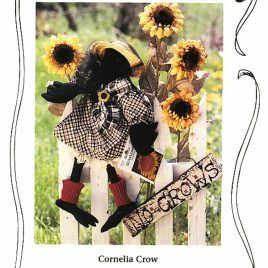 Sewing pattern for making an 18" doll that is a spiffy black crow. Uncut.